The amount of sugar in the bloodstream must be tightly controlled. Too much can cause damage to nerves, blood vessels and organs. 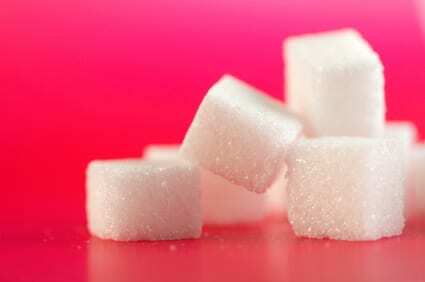 But too little sugar starves the body, especially the brain, of the energy it needs. Fasting plasma glucose (FPG) levels are a measure of how well a person’s body can control blood sugar levels, a process that goes awry in diabetes. A report published online today in Science Express finds that FPG levels can be impacted by single-letter variations in genes known to be involved in blood sugar regulation. Physicians routinely test their patients’ FPG levels to screen for diabetes and pre-diabetes. A high blood concentration of glucose after 8 to 10 hours of fasting indicates that a person’s ability to regulate blood sugar is impaired. High FPG levels are also associated with coronary heart disease mortality for both diabetic and non-diabetic individuals. In order to identify genetic variants involved in blood sugar control, Nabila Bouatia-Naji and colleagues carried out a genome-wide association study to find single-nucleotide polymorphisms, or SNPs, correlated with FPG levels. The most strongly associated SNP in an initial sample of about 650 non-obese French people was rs560887. The same SNP was correlated with FPG levels in a secondary sample that included about 3,400 French people, approximately 5,000 Finns and a group of about 860 obese French children. Combining the results of all the study samples, the researchers found that each copy of the T version of rs560887 leads to a .06mmol/L reduction in FPG. A FPG level below 5.5 mmol/L is considered normal. People with an FPG level between 5.6 mmol/L and 6.9 mmol/L have impaired fasting glucose or “pre-diabetes.” An FPG level above 7 mmol/L is consistent with diabetes. Rs560887 did not correlate with subjects’ insulin levels or BMI. Over a 9-year follow-up period in the French samples rs560887 also did not correlate with type 2 diabetes risk. Two other SNPs — rs1260326 and rs1799884–that were previously found to be associated with FPG were also found to be significantly associated with FPG levels in this study. The researchers believe that these genes affected by these SNPs affect the threshold level of glucose in the bloodstream, which triggers the secretion of insulin by the pancreas. The higher the threshold, the higher the blood glucose level will rise before insulin starts to regulate it. “These sequences explain about 5 per cent of the normal variation in blood glucose levels between otherwise healthy people,” explained Robert Sladek, one of the study’s senior authors. When all three SNPs were considered together to create a score (each person has two copies of each SNP and gets one point for each “low FPG” version, meaning the score can range from 0 to 6), the researchers found that on average people who scored a 5 or 6 had FGP levels 0.24 mmol/l lower than people who scored 0 or 1. 23andMe customers can use the table below to calculate their scores. Each “T” at rs560887 or rs1260326, and each “C” at rs1799884, is worth one point.